Murder-accused Shrien Dewani is set to make his second appearance in the Western Cape High Court at 10am on Monday. The British resident was initially to appear before Judge President John Hlophe at 9.30am but proceedings were slightly delayed. Local and international journalists vied for space in the two media benches. The public gallery, which included members of the ANC Women’s League, was a bit more spacious. Police officers were heavy-handed and kept a close eye on journalists with any type of technology in hand, because photos were prohibited. The media were initially told cellphones had to be switched off upon entering the court. After a chat with a justice department official, a police officer sheepishly announced that cellphones were allowed but had to be on silent, which drew a sigh of relief. In a confusing turn of events, a justice department official then said the final decision was that no cellphones or iPads could be switched on while court was in session. Laptops, however, were allowed. 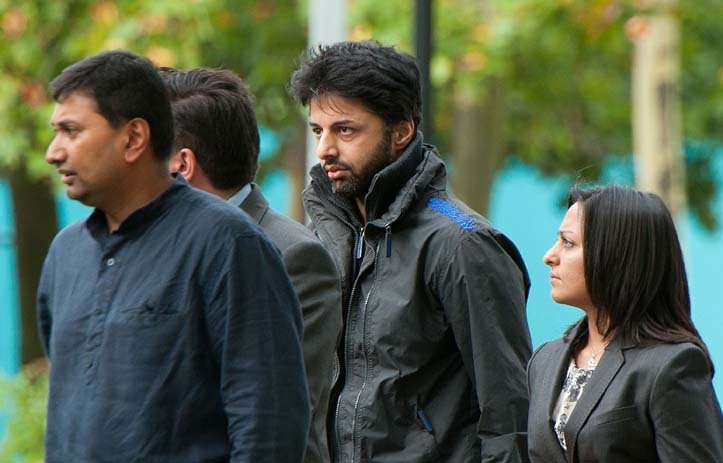 Before his extradition to South Africa last month, Dewani was detained in a hospital in Britain for depression and post-traumatic stress disorder. A letter from Dewani’s doctor was recently handed in at court, explaining that Dewani remained mentally ill and needed ongoing care. According to the indictment handed to the Western Cape High Court last month, he is charged with conspiracy to commit kidnapping, robbery with aggravating circumstances, murder, kidnapping, and defeating the ends of justice. It is the State’s case that he acted in common purpose and conspired with Cape Town residents Zola Tongo, Mziwamadoda Qwabe and Xolile Mngeni to kill his wife. In return, the State alleges Dewani would provide payment to the perpetrators. Tongo, Qwabe, and Mngeni are already serving jail terms in connection with the murder. Dewani claimed he and his wife Anni were kidnapped at gunpoint as they drove through Gugulethu in Cape Town in a taxi in November 2010. The couple had been on honeymoon in the country. He was released unharmed, but his wife’s body was found in the abandoned car the next day. She had been shot dead. The NPA, the police and the justice department have been waiting for over three years to get Dewani into the accused dock in a South African court.